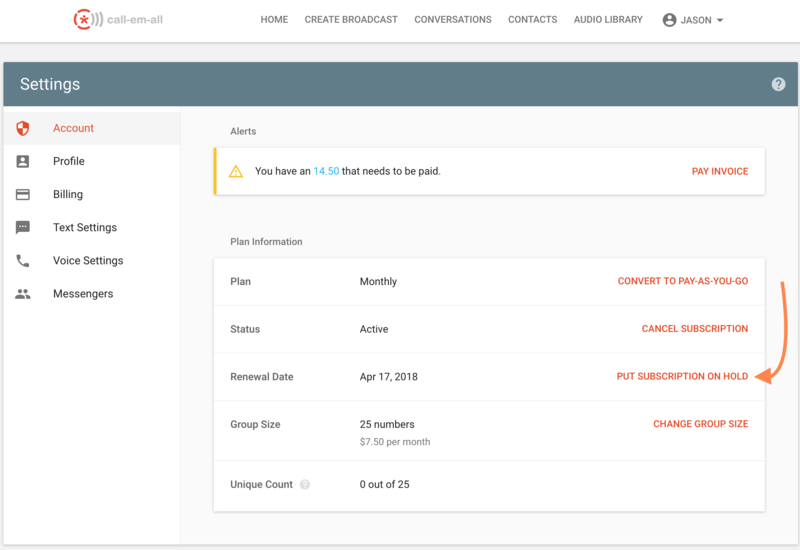 If there is a possibility you would like to use your Call-Em-All account in the future you can place your Monthly account on hold. Go to your Settings and click Put Subscription on Hold. 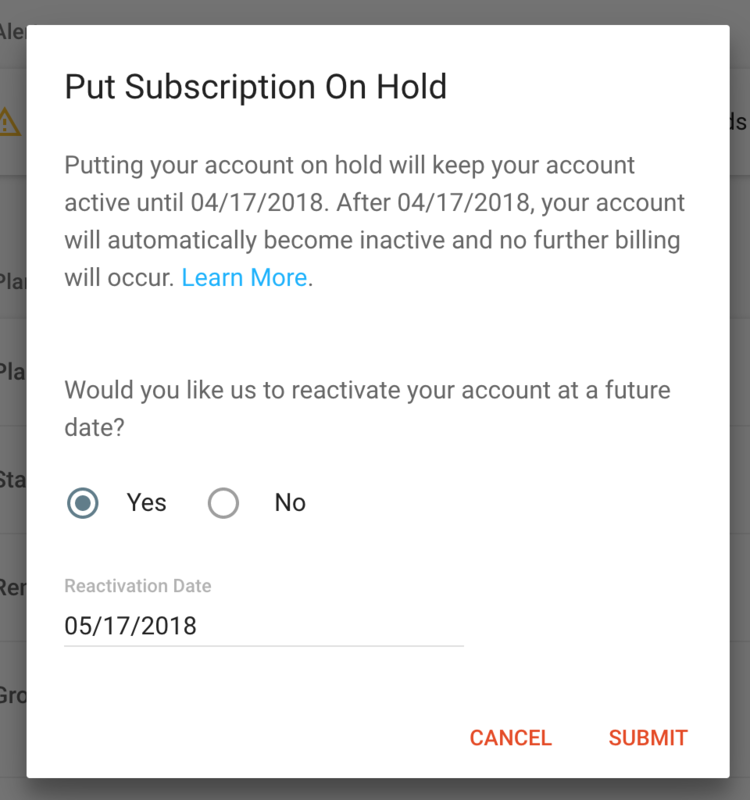 This hold allows you to press pause on your account and you can choose when to resume your account at a later time.You can pick a specific date if you know it (for seasonal users). If you are unsure of when you would like to reactivate your account, select No for reactivation. When it is time for you to resume again, simply login and click Reactivate Account on the Home page.